It is not possible to imagine companies without information technology and its focal areas of data processing, the internet and communication. The demand for permanent IT availability has risen continuously in recent years. A breakdown of several hours becomes a fiasco for some companies, in many cases, a breakdown of several days can threaten the existence of a company. The IT protection standards to EN 1047-2 are fulfilled, as are those of the German building regulations, to DIN 4102. Due to the very solid nature of the room system, enormous mechanical protection against external effects exists. 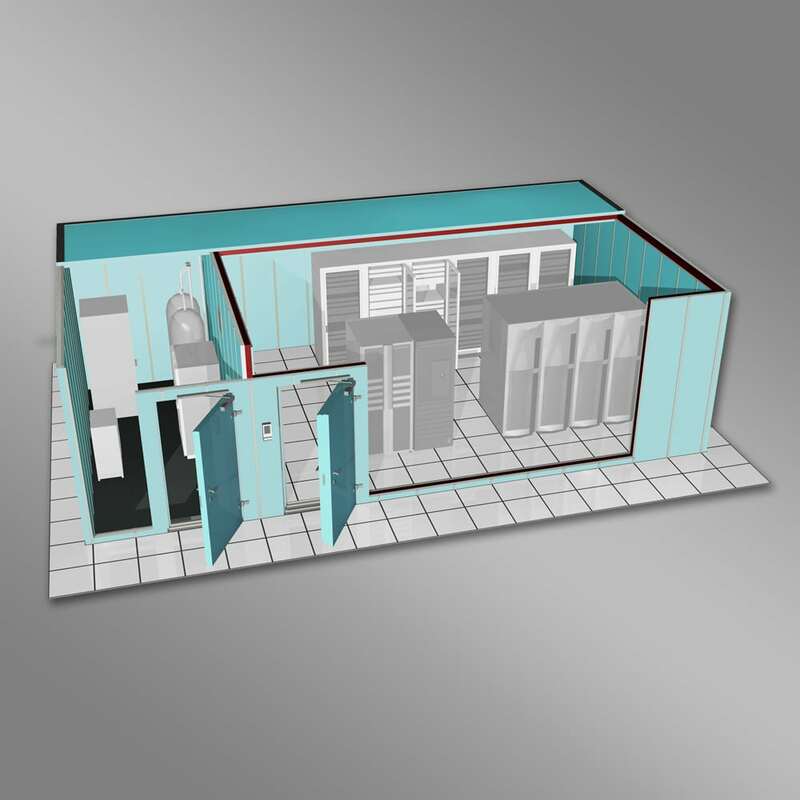 Integrated in a comprehensively secured infrastructure, from the air conditioning to the power supply through to the power supply through to safety engineering, PRIORIT offers individual concepts and solutions, which make the IT environment future-proof and thus secure the business process.